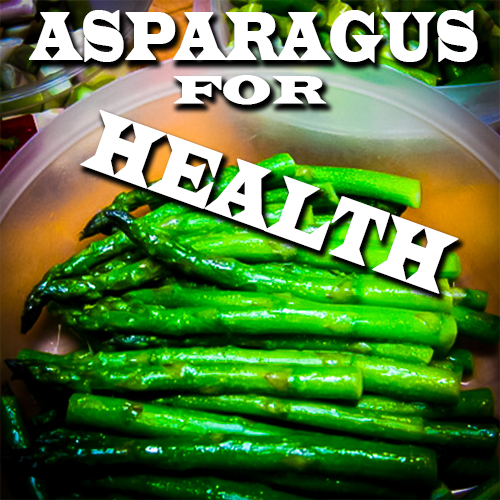 Eat Asparagus for Health Happiness and a Body of Steel! Let’s talk about why you should eat Asparagus and how I prepare mine. This is a nutritious medicine that has been eaten for centeries. Treat your mind and body to the many nutrients of asparagus while enjoying the great taste. Asparagus is a delicious medicine that has a delightful texture and aroma too. With today’s marketing wonders we have asparagus year-around. Asparagus is loaded with vitamins A,C,E,K and B6 and most of all essential vitamins your body needs! For a body of steel, you need the trace elements of asparagus: like Iron, copper, calcium, you want in your diet. It has been known for centuries as a medicinal plant, Greeks, Roman, Egyptians used this plant. This plant is known as one of the most nutritionally balanced foods that keeps you healthy. Contains Folate that is necessary for cell production. Promotes a healthy heart, liver and nerve health. Asparagus promotes healthy eyes, with it’s vitamin A known as ritinal. Do not throw away the stem ends. They need saved for other dishes. Trim off the tough ends and save for making vegetable broth. Trim the next inch, if it is tough, and save for cooking other dishes. Wash everything is a solution of vinegar and water (5-1). This will remove the chemicals that are necessary to get produce from far lands to your door. I like to use a heavy pan with a tight lid for steaming. Be careful as asparagus needs very little cooking. Place it into the pan with a half cup, or less, of water. Add some good olive oil and, if you like, some salt. Place the Asparagus in the pan then turn the burner on high. As soon as the steam begins, turn it to medium. You want lots of heat for a short time, because we want it to steam. Be cautious here because it only takes a couple minutes. Err on the safe side. Asparagus does not need cooking, furthermore we are only steaming it a little bit to bring out the flavor and enhance the texture. Remove and cool the asparagus before it can become soft.